Spider-Man, he was apparently a Protestant. The Hulk, a lapsed Catholic. Thor, a worshipper of a Teutonic deity. The X-Men, an assemblage of Catholics and Episcopalians. And Stanley Lee, the creator of these famous comic book figures, he's Jewish. 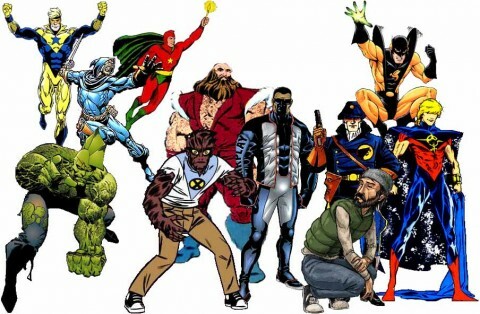 If you're a comic book fan with a thing for trivia, you can peruse this database of over 10,000 characters and figure out the religious affiliation of Batman and Wonder Woman, plus lesser-known characters like Chameleon Boy, Swamp Thing, and Poison Ivy. P.S. The creatures in the image above, they're atheists, a category also tracked by this most thorough database. Need to update db. Thor is/was worshipped as a diety. ^um yeah but the Aesir at least according to Snorri originate from Asia. of the many theories available i prefer the theory that they came from Nepal. chose for yourself though. Really, some people have too much free time. Over 30,000 CARTOON characters in a database with descriptions of the religion of each of them??? Does someone have time to look through this list? It’s completely nuts, that’s what it is! Somewhere, someone in the world must have baaaaaaad dreams at night, that’s for sure: is Thor a deity? People actually have THEORIES about such stuff?